Redfish and Snook Bite is Hot! It might still be a little warm outside but I’ll tell you what, snook and redfish, are biting really well and they are loving the lower water temperatures that the recent rains have given us. Cooler air temps are on the way too and the mornings really haven’t felt bad at all lately. Fishing in the Port Richey and Tarpon Springs areas has been really good lately. This year, we’ve had tons of rain and the rain has done two great things for us. Number one, it’s lowered the water temperature, number two it has made the back country come alive due to all the extra water flow. 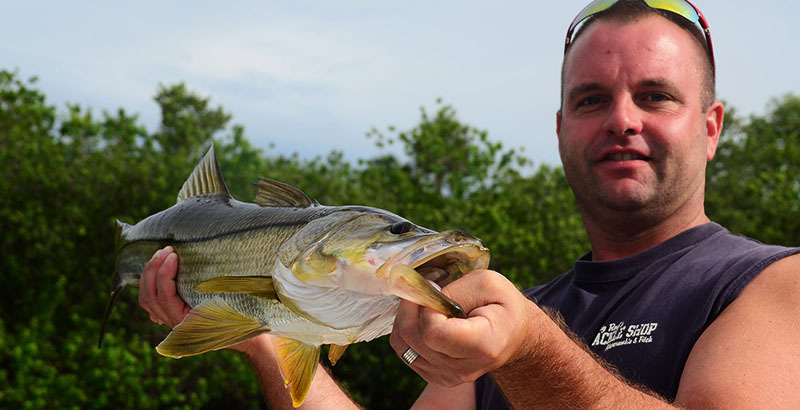 The redfish and snook have really taken to these two favorable circumstances and we’ve been the benefactors. High outgoing water has been the key for snook in the back country while redfish have been digging the low incoming water. So, pretty much no matter what the tide is doing, we’ve had fish biting. look for the backcountry bite to just get better as we get closer to fall.